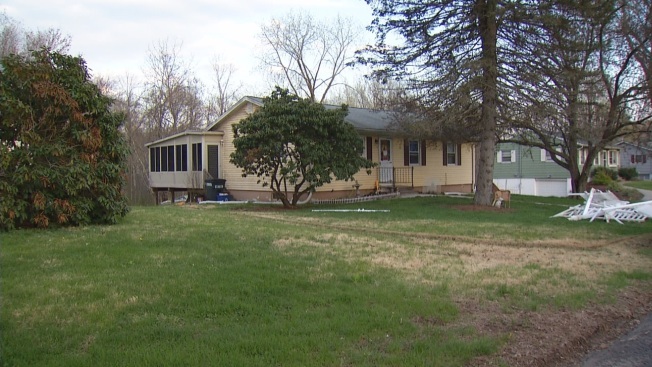 Report on Conn. Man Charged With Holding Sister in "Dungeon"
New and disturbing information has been released about the man accused of keeping his 56-year-old sister locked in a Connecticut bedroom for several years in "dungeon"-like conditions, covered in feces and urine. Police say her brother Arthur Gauvin forced her to live that way for years. He is now behind bars and facing criminal charges. Seymour police describe conditions inside the home in question on Eleanor Drive as "horrendous." Last week police showed up for a welfare check and say they found a 56-year-old woman locked up in a bedroom that looked similar to a dungeon, but that was just the beginning. “It’s nothing ever I would have ever expected especially in a neighborhood like this,” said neighbor Ryan Flaherty. Police say her brother Arthur Gauvin was supposed to be her caretaker, but now he’s accused of torturing her inside this place for years. A new incident report shows she was lying on a bed covered in filth, feces and urine, with only a bucket to use as a toilet. The only window in the room was blacked out and bolted so she couldn’t escape. She couldn’t open the door either, which was locked from the outside. According to the court documents, Gauvin told investigators he locked her up so his dog wouldn't eat her food. Seymour police said the victim's daughter was also living at the home with her 6-year-old child and never reported the alleged abuse. According to the report, when police interviewed the daughter, she admitted she expressed concerns to Gauvin about her aunt’s condition, but didn’t say anything because he allegedly threatened her and told her to keep quiet. The daughter also said she and her daughter needed a place to live. Police said they were still investigating and could make more arrests in the case. Officials say the victim is now in the custody of the Dept. of Children and Families.